ALL MATERIALS ON THIS SITE ARE PROVIDED "AS IS" WITHOUT WARRANTY OF ANY KIND, EITHER EXPRESS OR IMPLIED, INCLUDING, BUT NOT LIMITED TO, THE IMPLIED WARRANTIES OF MERCHANTABILITY OR FITNESS FOR A PARTICULAR PURPOSE, OR THE WARRANTY OF NON-INFRINGEMENT. WITHOUT LIMITING THE FOREGOING, REO AND ITS PROVIDERS MAKE NO WARRANTY THAT (i) THE SITE AND MATERIALS WILL MEET USER'S REQUIREMENTS, (ii) THE SITE AND MATERIALS WILL BE UNINTERRUPTED, TIMELY, SECURE, OR ERROR-FREE, (iii) THE RESULTS THAT MAY BE OBTAINED FROM THE USE OF THE MATERIALS WILL BE EFFECTIVE, ACCURATE OR RELIABLE, AND (iv) THE QUALITY OF ANY PRODUCTS, SERVICES, OR INFORMATION PURCHASED OR OBTAINED BY USER FROM THE SITE WILL MEET USER'S EXPECTATIONS. SOME STATES OR JURISDICTIONS DO NOT ALLOW THE EXCLUSION OF IMPLIED WARRANTIES, OR LIMITATIONS ON HOW LONG AN IMPLIED WARRANTY MAY LAST, SO THE ABOVE LIMITATIONS MAY NOT APPLY TO YOU. TO THE EXTENT PERMISSIBLE, ANY IMPLIED WARRANTIES ARE LIMITED TO THIRTY (30) DAYS. This Site may contain links to third-party Web sites that are not under the control of Advance Paper Box. Advance Paper Box makes no representations whatsoever about any other webite to which User may have access through this Site. When User accesses other websites, the User does so at User's own risk and Advance Paper Box is not responsible for the accuracy or reliability of any information, data, opinions, advice, or statements made on these sites or for the quality of any products or services available on such sites. Advance Paper Box provides these links merely as a convenience and the inclusion of such links does not imply that Advance Paper Box endorses or accepts any responsibility for the content or uses of such websites. The acquisition of any Materials through the site is done at User's own discretion and risk and with User's agreement that User will be solely responsible for any damage to User's computer system or loss of data that results from such activities. No advice or information, whether oral or written, obtained by User from Advance Paper Box or through or from the Site shall create any warranty not expressly stated in this Agreement. User agrees to indemnify and hold Advance Paper Box, and its parent, subsidiaries, affiliates, officers, agents, or other partners, and employees, harmless from any and all liabilities, claims, demands and expenses, including reasonable attorneys' fees, due to or arising out of User's use or misuse of the Site, any services therein, or for infringement by User of intellectual property rights or other rights of any third party. Advance Paper Box may assume exclusive control of any defense or any matter subject to indemnification by User and User agrees to cooperate with Advance Paper Box in such event. IN NO EVENT SHALL ADVANCE PAPER BOX, ITS OFFICERS, EMPLOYEES, CONTRACTORS, SUBCONTRACTORS, PROVIDERS, AGENTS, AFFILIATES, SUBSIDIARIES, SUCCESSORS OR ASSIGNS BE LIABLE TO USER OR ANY THIRD PARTY FOR ANY DIRECT, INDIRECT, CONSEQUENTIAL, INCIDENTAL, OR SPECIAL DAMAGES WHATSOEVER, INCLUDING, WITHOUT LIMITATION, THOSE RESULTING FROM LOSS OF USE, DATA OR PROFITS, WHETHER OR NOT REO HAS BEEN ADVISED OF THE POSSIBILITY OF SUCH DAMAGES, AND ON ANY THEORY OF LIABILITY, ARISING OUT OF OR IN CONNECTION WITH THE USE OF THIS SITE OR ANY WEBSITE REFERENCED OR LINKED TO OR FROM THIS SITE, OR ANY SERVICES OR MATERIALS PROVIDED OR AVAILABLE HEREUNDER. SOME JURISDICTIONS PROHIBIT THE EXCLUSION OR LIMITATION OF LIABILITY FOR CONSEQUENTIAL OR INCIDENTAL DAMAGES, SO THE ABOVE LIMITATIONS MAY NOT APPLY TO USER. This Site (excluding linked sites) is controlled by Advance Paper Box from its offices within the state of California, United States of America. By accessing this Site, User and Advance Paper Box agree that all matters relating to User's access to, or use of, this Site shall be governed by the statutes and laws of the State of California. 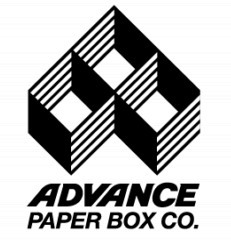 The trademarks, logos and service marks ("Marks") displayed on this Site are the property of Advance Paper Box or other third parties. You are not permitted to use the Marks without the prior written consent of Advance Paper Box or such third parties, which may own the Marks. Advance Paper Box may assign this Agreement to another entity without any advance consent from or notice to User. User may not assign this Agreement without the consent of Advance Paper Box. If Advance Paper Box does not enforce any right or remedy available under this Agreement, that failure is not a waiver. If any part of this Agreement is held invalid or unenforceable, the remainder of this Agreement will remain in force.